﻿ Hotel Montecallini, Patu | FROM $36 - SAVE ON AGODA! 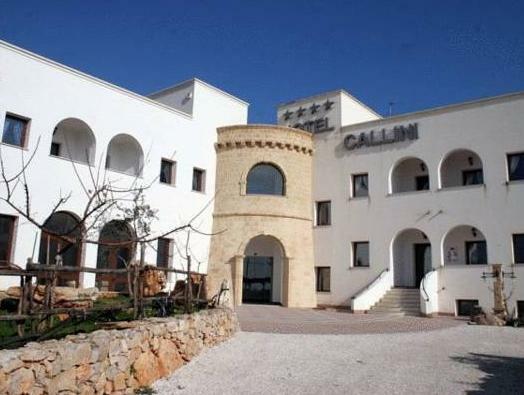 "The hotel is beautiful, very clean, the location is good if..."
Hotel Montecallini is located in San Gregorio, 1.9 mi from Santa Maria di Leuca. It offers free parking, a pool, and air-conditioned rooms with satellite TV, mini-bar and private bathroom. Rooms at the Montecallini are uniquely decorated with ceramics and wrought-iron furniture. The restaurant serves traditional Salento cuisine. Breakfast is available every morning at Montecallini Hotel. The hotel is surrounded by olive groves and just 1.2 mi from the Ionian Sea. The Baroque city of Lecce is a one-hour drive away. We went for a long weekend break and that was perfect, any longer than that might not be so good. The hotel is beautiful, very clean, the location is good if you have a car ( just 10 min from Leuca). The rooms are big and nice, the swimming pool area is lovely but very quiet, we had to whisper to each other so we don’t get any annoyed looks from the other guests. Maybe some music in the background would help to give a bit of atmosphere to the swimming pool are. The breakfast is nice but not much variety and it doesn’t change at all, every day is the same. Staff were really nice and helpful.